This was the view west of the Twin Cities Metro from Sunday afternoon during the Blizzard Warning. While folks in the immediate metro didn't get to experience the full effect of the storm, folks outside of the metro and especially in rural and open areas did! The image below is along a 2 lane highway where 2ft to 4ft snow drifts were covering the western lanes. These drifts were now joke! Visibility at times was reduce significantly at times with more significant wind gusts. The biggest impacts from Sunday's blizzard were across much of southern Minnesota and into Wisconsin where roads were actually closed much of the day! Take a look at the snowfall analysis from over the weekend. It was a two-parter that had most folks reaching for shovels. However, the heaviest batch fell across far southeastern MN, where some 12"+ totals where found. Note that much of central Wisconsin got hammered with 6" to 12"+ totals as well! Cold wind chills will take us through early Monday morning with readings in the -20s to -40s range across much of the state. Bundle up!! Thankfully, the winds won't be as strong on Monday, but boy is it gonna be cold! High temps will only warm into the single digits above and below zero. These readings will be nearly -25F to -30F below average! Believe it or not, we've got another light snow chance on Tuesday across parts of Minnesota. Here's the latest model run from AM Tuesday to midday Wednesday, which shows light snow drifting across the region, which could be enough to bring some minor shoveling duties to the region. Here's the latest NWS NDFD data, which suggests a 1" to 4" snow band across parts of central MN. Keep in mind that this narrow band could wobble north/south, so totals close to home could vary depending on where this particular band sets up... Stay tuned! Here is the temperature outlook as we head through the rest of the month and into the first 11 days of March. It's going to be really cold on Monday with highs only warming in the single digits. We do warm up a touch as we head through the rest of the week, but keep in mind that our average high is +32F, so we will still be well below average. 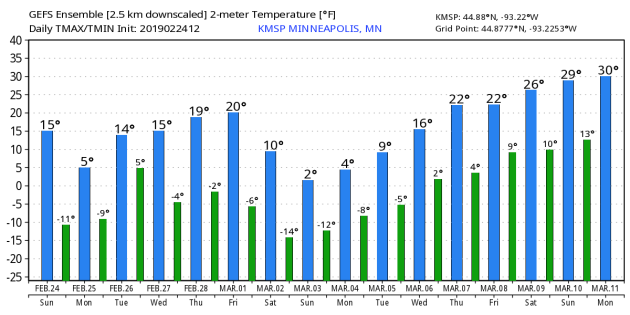 It appears that we take another hit in the temp department late weekend and early next week with high temps back in the single digits and lows in the sub-zero range. "The Twin Cities Snow and Cold Index (SCI) is an attempt to weigh the relative severity of winter when compared with winters of the past. The SCI assigns single points for daily counts of maximum temperatures 10 degrees F or colder, and daily minimums of 0 degrees F or colder. If the minimum temperature drops to -20 degrees or colder greater, eight points are attributed to that day. Snowfall totals of one inch or greater in a day receive one point. Four-inch snowfalls generate four points for the day, an eight-inch snowfall receives a whopping 16 points. To quantify the duration of winter, one point is tallied for every day with a snow depth of 12 inches or greater." "The SCI for the winter of 2013-14 in Twin Cities was 207 points, or in the high end of the "severe winter" category. This was the 9th most severe winter on record based on SCI points. The lowest SCI score was the winter of 2011-2012 with 16 points. The most severe winter is 1916-1917 with 305 SCI points." Snowiest February and 6th Snowiest Month on Record - AND Counting! According to the National Weather Service (thru 6AM February 24th) 35.7" of snow has fallen at the MSP Airport, which not only crushes the previous snowiest February on record of 26.5" set in 1962, but it is now the 6th snowiest MONTH in recorded history at MSP! What is impressive is that we were able to achieve this in the first 24 days of the month and we still have another snow chance on Tuesday! I don't think we'll be able to crack the top spot, but could be crack the top 5? 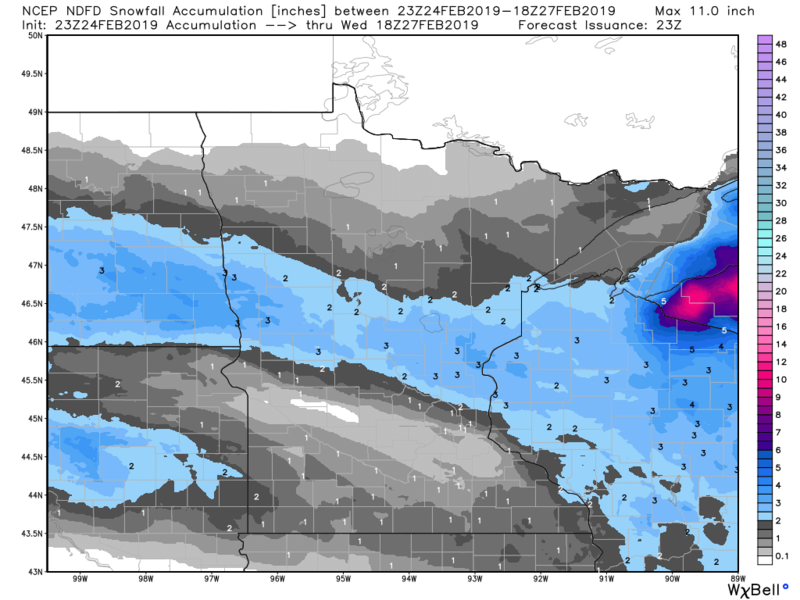 Here's the snow depth across the region from Sunday, February 24th, which suggested that there was still more than a foot of snow on the ground across much of the Twin Cities, while in Duluth and the shores of Lake Superior are enjoying more than 2ft. of snow on the ground! By the way, with 15" of snow depth at the Twin Cities airport earlier this, which was officially the greatest amount of snow on the ground since March of 2014, nearly 5 years ago. I had several questions regarding the April Blizzard of 2018 and how much snow we had on the ground then. Well, the greatest MSP SNOW DEPTH (snow on the ground) during that event was 11". According to NOAA's GLERL, Lake Superior is nearly 75% covered in ice, which is greater than it was at this time last year and also in 2017. The last several weeks have really helped with significant ice growth over the Great Lakes region. 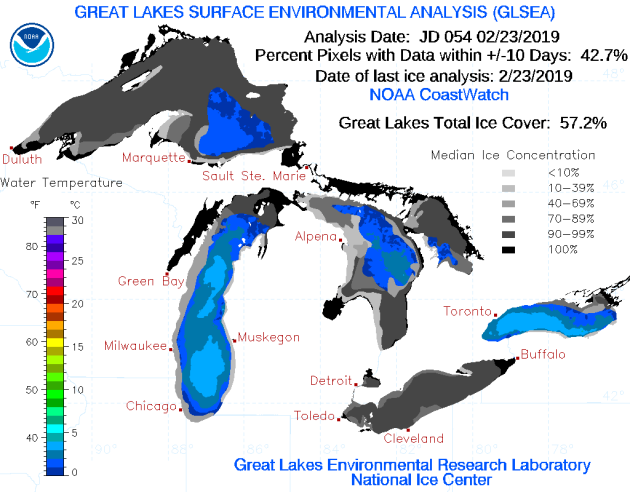 Interestingly, the entire great lakes (as of February 23rd) was sitting at nearly 57% ice coverage, which is just slightly above the long-term average of 55%. Here's a look at the temperature anomaly aross North America on Sunday, which showed cooler than average temps across much of the Western half of the country, while folks in the eastern half of the country were still enjoying warmer than average conditions. Here's the temp anomaly outlook from across the nation as we head into the last few days of February. Note that cooler than average temps look to linger across the northern tier of the nation with bouts of warming taking place across the Southern US. Oh the humanity... According to NOAA's CPC, the temperature outlook from March 4th - 10th suggests colder than average temperatures continuing across much of the country once again. However, folks in the southwestern part of the country could see warmer than average temps. Here's an interesting map for folks that may be sick of winter. It's the NPN Spring Leaf Anomaly map, which shows that spring has indeed sprung across the southern tier of the nation. The red colors indicate that spring leaves are actually emerging earlier than average in those areas. 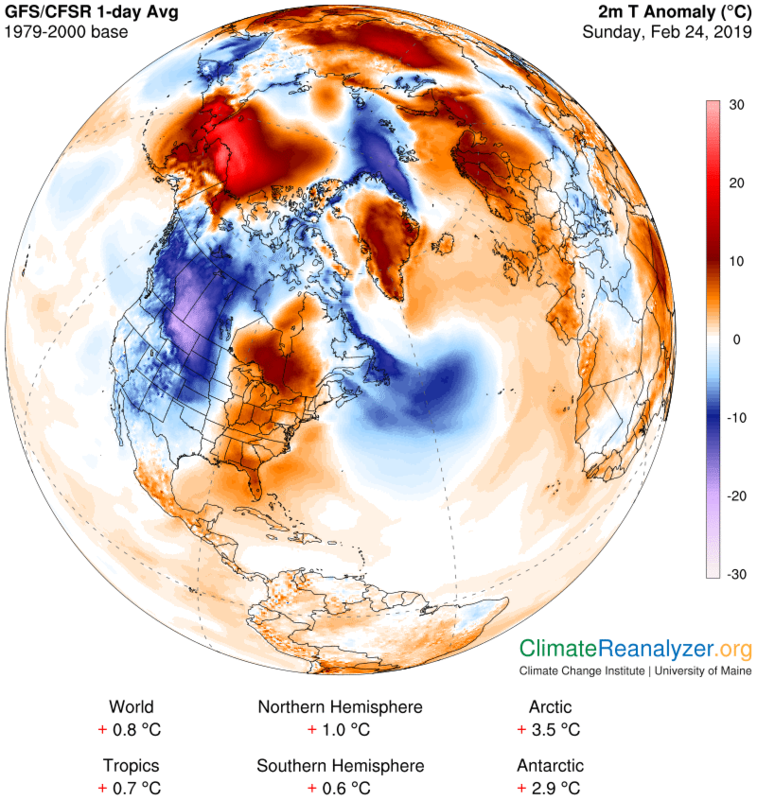 "Phenology Report: February 12, 2019"
If you're interested in nature and how it relates to climate, you might like this. John Latimer is a Phenologist in central/northern Minnesota and has a weekly phenology report on KAXE. Here's what he has been observing. "Phenology is the biological nature of events as they relate to climate. 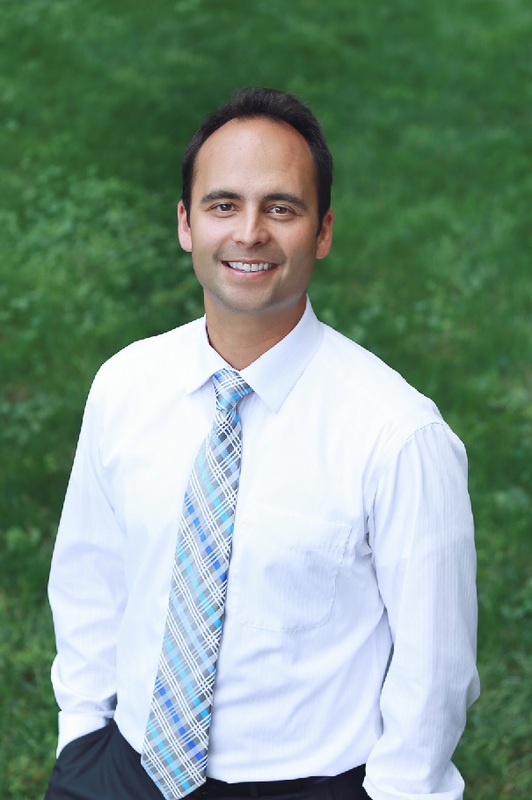 Every Tuesday morning, our resident Phenologist John Latimer gathers his phenological data and reports his findings in the weekly Phenology Report. In this week's report, return of gold finches,deep snow and an increase in sunlight resulting in changes in the colors of many trees including the speckled alder!" 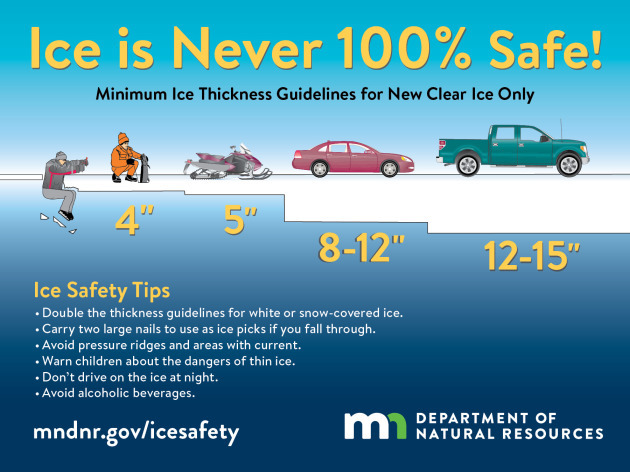 The MN DNR has some basic guidelines on how thick the ice should be before you even think about stepping out onto the ice! Also remember that ice is NEVER 100% SAFE! My back hurts from shoveling, my face hurts from the biting winter winds and my everything hurts from just enduring this relentless February. Advil anyone? The weekend storm was a doozy. Nearly a foot of snow fell across parts of southeastern Minnesota Saturday night, which was then followed by 40 to 50mph winds on Sunday. Widespread blizzard conditions across western and southern Minnesota had many roads closed in those areas. I am happy to report that winds will be much lighter today, but heavy winter artillery will accompany everyone headed outside as sub-zero wind chills linger through tomorrow. Light shoveling duties are in the forecast once again on Tuesday as a minor coating develops through the day, but a bigger storm could brush southern Minnesota with more plowable stuff on Friday. Hey, on the bright side, Meteorological Spring arrives Friday! If you listen close, you might even hear spring songs from a tree near you! Cardinals are calling "Wa-cheer Wa-cheer Wa-cheer" and blacked-capped chickadees calling "Fee Bee". MONDAY: January sting. Some sun. Winds: WNW 5. High: 6. MONDAY NIGHT: Mostly cloudy and cold. Winds: WNW 5. Low: -7. TUESDAY: Another snow chance, minor coating. Winds: SE 7-12. High: 11. WEDNESDAY: AM flurries. Clearing skies. Winds: WNW 5-10. Wake-up: 4. High: 15. THURSDAY: Light snow across southern MN. Winds: SW 5-10. Wake-up: -2. High: 18. FRIDAY: Meterological Spring begins! More snow. Winds: NNWW 10-15. Wake-up: 2. High: 20. SATURDAY: Cold winds with blowing snow. Winds: NW 15-25. Wake-up: 3. High: 10. SUNDAY: Another January relapse. Winds: WNW 10-15. Wake-up: -12. High: 2. 1934: A late season cold snap produces a bitterly cold low of -46 at Big Falls. "On the morning of February 26, 2019, the moon will be at or near its last quarter phase – visible in the dawn sky – with its half-illuminated side pointing at bright Jupiter. One day later – on February 27 – look for the wide waning crescent to more closely pair up with Jupiter on the sky’s dome. If you’re up before the sun, you might also see Antares, the brightest star in the constellation Scorpius the Scorpion, near the moon and Jupiter on these mornings. Whether you see the moon and Jupiter in your southern or northern sky before sunup will depend on your location on the globe. We in the Northern Hemisphere see them in the south. As you face south, east is to your left and west to your right. From the Southern Hemisphere, they’re more toward the northern sky. But, for all of us, the moon and Jupiter are up before the sun. They’re very bright. You can’t miss them, if you look! The lit side of a waning moon always points eastward – the direction of the moon’s motion in orbit and monthly trip in front of the constellations of the zodiac. Because east is in the direction of sunrise, watch for the moon to swing past Jupiter in another few days, and then the planets Saturn and Venus in early March 2019." High temps across the country on Monday will be colder than average across the northern tier of the nation with high temps running nearly -20F to -40F below average. Here's the weather oulook across the nation as we head into the first part of the week. Areas of active weather will envelope the Northwest with moisture moving east across the Plains. Areas of heavy snow will be possible in the Intermountain-West while lighter snow amounts will be possible in the Upper Midwest. According to NOAA's WPC, the 7 day precipitation forecast shows heavy precipitation across the Western US once again, especially across the northern half of California. There will also be several inches of rain across the Gulf Coast States into the Mid-Atlantic, where additional flooding can't be ruled out. "This is Earth's Way to Warn Us"
"Many fun times can be had outdoors with family, friends, or on your lonesome, but things can go from relaxing to downright scary in the blink of an eye. Having street smarts won’t help you in the event of a natural disaster. Knowledge is half the battle, but even that might not be enough to prepare lightning strikes or flash floods. If you find yourself in a spot where you can’t get weather updates on your Smartphone, then you’ll want to memorize these 35 signs of an imminent natural disaster." "What's the Weather Like on Mars? Now You Can Check"
"Think it’s cold where you are today? Trust us: It’s a lot worse on Mars. While much of the nation is in the grips of a major winter storm that’s snarling air traffic, closing offices, and canceling school, Mars will likely only hit the single digits today, and plunge to -130 or below tonight. Elon Musk might want to bring a heavy coat when he moves there. NASA has begun making daily weather reports from Mars available to the general public, with data supplied from the Insight lander. It’s not exactly up to the minute (reports appear to be delayed by two or three days), but it’s a good way for weather enthusiasts to keep up with the meteorological comings and goings of the red planet." "These Are the 2019 Hurricane Names, From Andrea to Wendy"
"The 2019 Atlantic hurricane season begins June 1. The 2019 Atlantic hurricane season, which includes the Atlantic Ocean, Caribbean Sea, and Gulf of Mexico, is June 1 to November 30; the Eastern Pacific hurricane season runs from May 15 through November 30. Long before these basins crank up with tropical waves, storms, and hurricanes, the National Hurricane Center establishes a list of storm names that will be assigned when a weather event is powerful enough to be named. A tropical system gets its name when it maintains sustained wind speeds of 39 miles per hour, at which point it is officially a tropical storm. Many named systems never reach hurricane status, when winds reach 74 miles per hour." "Warming Climate Implies More Flies—and Disease"
"A recent analysis predicts that 40 percent of the world’s insect species could go extinct within the next few decades. The highest death tolls could be among butterflies, moths, bees and dung beetles. Conspicuously absent from that list are houseflies. Because they may actually do better in a hotter world. "Under a warming scenario you'd have a larger fly population which is able to hang around for a longer period of time." Amy Greer, an epidemiologist and mathematical modeler at the University of Guelph in Ontario. Plus, she says, flies are also more active when it's warm. Meaning more chances to land on your picnic dips." "Earth may be 140 years away from reaching carbon levels not seen in 56 million years"
"Total human carbon dioxide emissions could match those of Earth's last major greenhouse warming event in fewer than five generations, new research finds. A new study finds humans are pumping carbon dioxide into the atmosphere at a rate nine to 10 times higher than the greenhouse gas was emitted during the Paleocene-Eocene Thermal Maximum (PETM), a global warming event that occurred roughly 56 million years ago."